There are so many really neat places to eat in downtown Asheville. Mr. Beet and I found one that was off the beaten path but felt just like being at home. 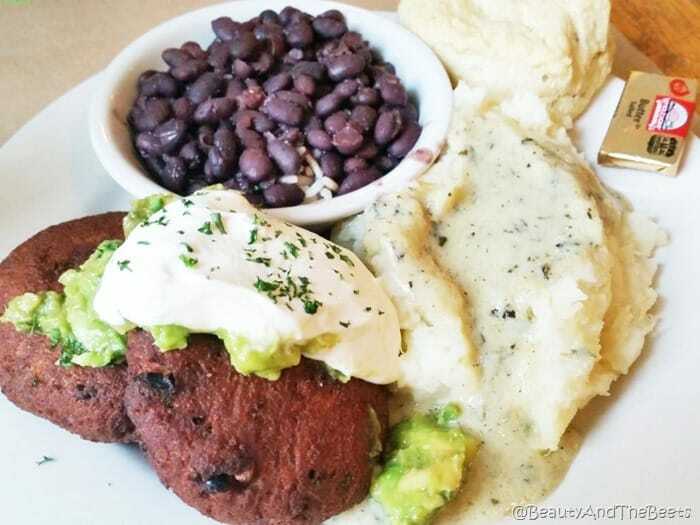 The food is Southern comfort – everything from meatloaf to pan fried catfish to shrimp and grits. Breakfast is served all day at the Early Girl Eatery, but they also have a small menu for lunch and dinner. 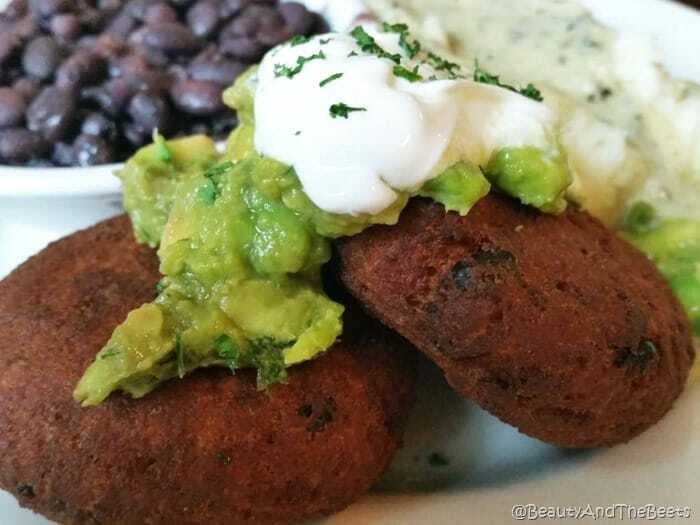 Mr. Beet and I kept it simple – ordering the Spinach Potato Cakes with mashed potatoes and black beans. The cakes were slightly spicy but thick and hearty. And the mashed potatoes did not taste like they came out of a box, they tasted like homemade. 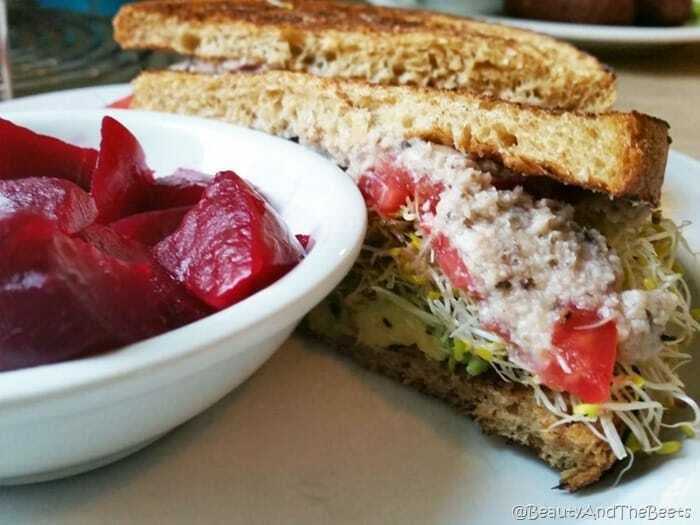 We also ordered thee Avocado and Sprouts sandwich with a side of beets. 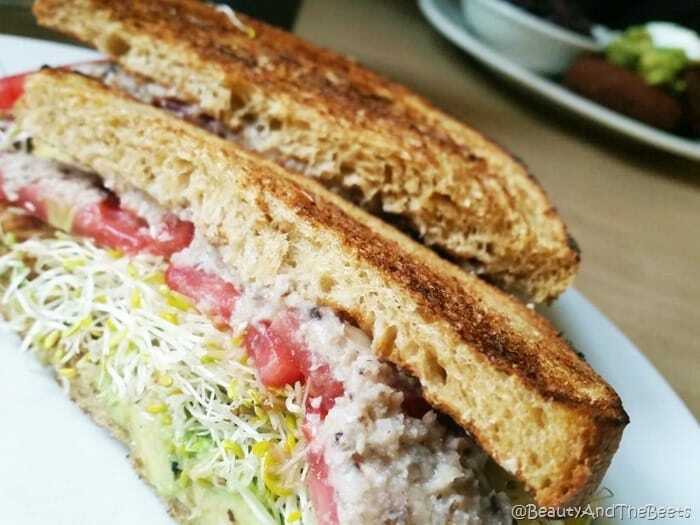 The sandwich was stacked with alfalfa sprouts, tomatoes, cucumber slices, avocado and white bean hummus. It was perfect to split. We didn’t stay for dessert but all the goodies are made from scratch daily. As are the soups. 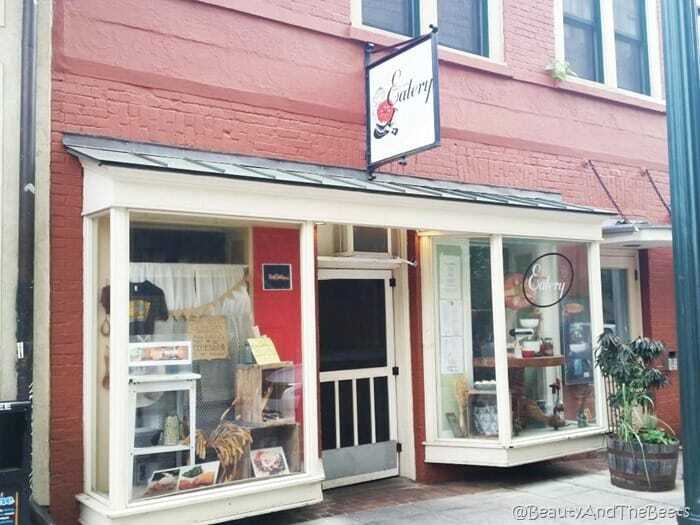 There are a lot of places to eat in the area but the Early Girl Eatery is worth seeking out. 4 out of 5 sprouts.